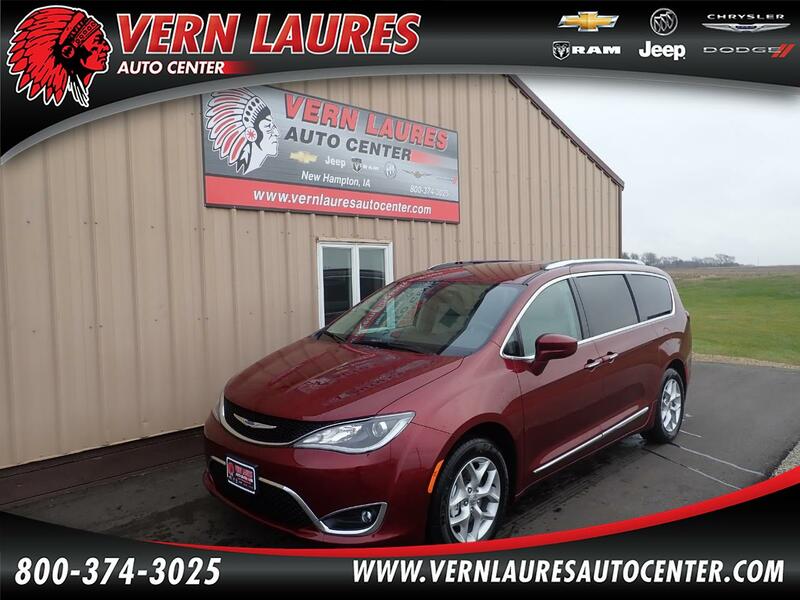 New 2019 Chrysler Pacifica Touring L. The color is Velvet Red Pearl with Cognac/Alloy Interior. It is nicely equipped with Heated Leather Seats, Smart Key, Apple Car Play, Uconnect 7" Display, Active Noise Cancellation, Heated Steering Wheel, Window Shades, 18" Aluminum Wheels, Inflatable Spare Tire Kit, Portable Air Compressor, Blind Spot & Cross Path Detection, Remote Start, Power Doors, and a Overhead DVD Player! All prices listed, including those used in the Payment Calculator, may not include Sales Tax, Title, License Fee, Registration Fee, Dealer Documentary Fee, Finance Charges, Emission Testing Fees, Compliance Fees and are subject to change. The listed details are to be used as an informational listing of available equipment on this vehicle. It is the sole responsibility of the customer to verify the existence of any option or accessories and the vehicle's condition and price before time of sale. No express or implied warranties or representations of any type concerning this vehicle, including the availability or condition of the equipment listed is made. Sale prices on new vehicles include rebates that expire end of the month, residence restrictions apply. Some rebates require financing with either Chrysler Capital or GM Financial. See Dealer for Details.